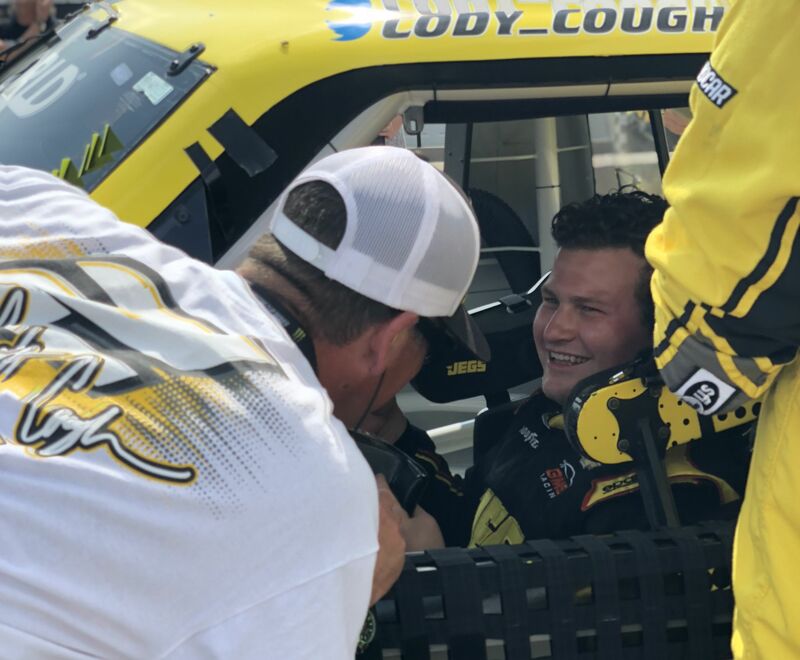 STATESVILLE, N.C. (August 12, 2018)— Cody Coughlin finished in the 14th-place in Saturday afternoon’s NASCAR Camping World Truck Series (NCWTS) Corrigan Oil 200 at the Michigan International Speedway in Brooklyn. 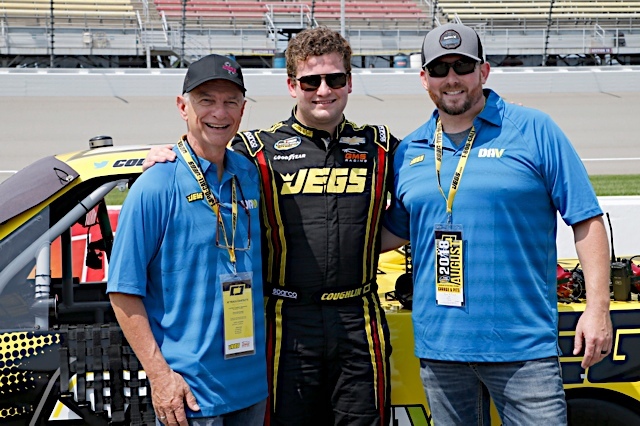 Coughlin fought a persistent vibration and rallied from the 23rd-place to score a hard-earned finish as the NASCAR Camping World Truck Series returned to action from a week hiatus. The driver of the No. 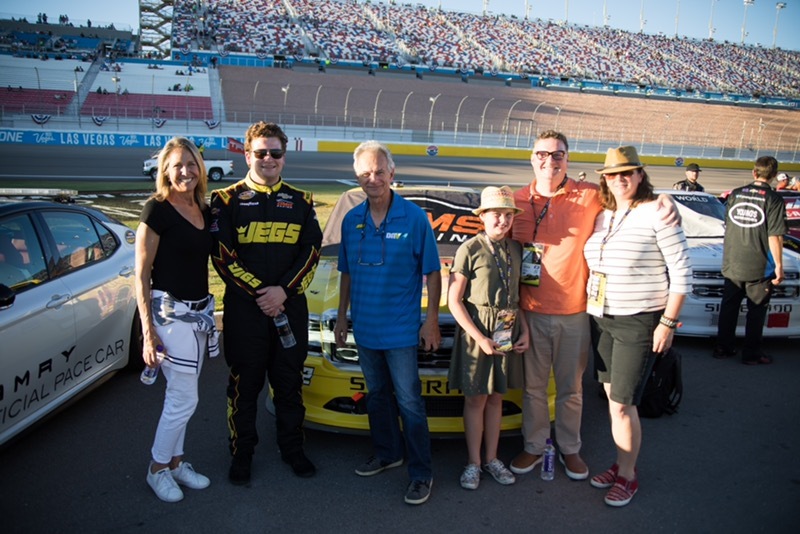 2 JEGS Chevrolet Silverado for GMS Racing fought the vibration from the restart of the final stage of the 100-lap race before earning his tenth top-14 finish of the 2018 season. “Once again, it was a tough day for our GMS Racing team,” Coughlin said. “I need some luck on our side, because everyone on this team is working so hard. I am proud and honored to be the driver of this No. 2 GMS Racing team. Harold Cronk, the director of God Bless the Broken Road, and producer Edgar Struble showed tremendous support for Coughlin as they attended the event as honored guests of the Coughlin family. Coughlin has a featured cameo role in the upcoming film, set to hit theaters on September 7. #BlessAVet is an initiative launched in partnership with the Disabled American Veterans (DAV), Fandango, and the film God Bless the Broken Road where people can contribute to send a veteran to dinner and to go see God Bless the Broken Road in theaters. Participate in #BlessAVet by visiting http://bit.ly/CodyBlessAVet. “With a short turn-around, we’re off to the Bristol Motor Speedway next week,” Coughlin said. Coughlin, part of the four-truck GMS Racing contingent, set the ninth-fastest lap in qualifying for the 200-mile race, and turned a lap of 39.537 seconds at 182.108 mph around the 2-mile track in the final qualifying round. The Delaware, Ohio, took the green-flag from the ninth-place, and while he slid back into the 11th position after five laps completed, by Lap six he returned to the ninth-place. Coughlin radioed to crew chief Jerry Baxter that the No. 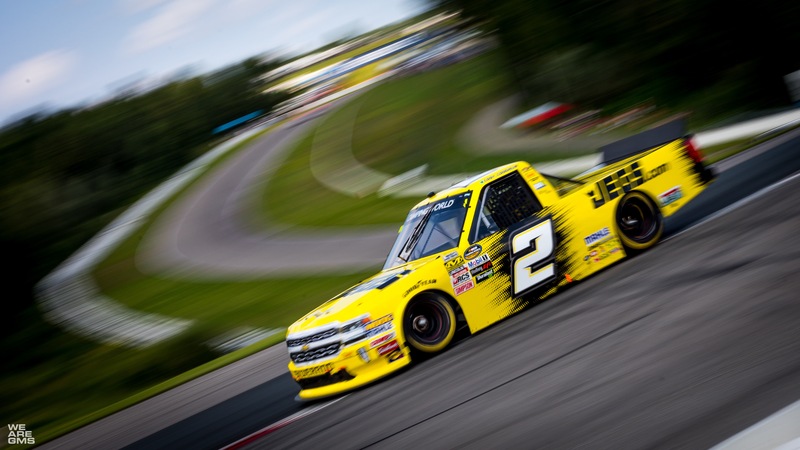 2 JEGS Chevrolet Silverado had a free-handling condition, but despite the rough handling of the black and yellow machine, Coughlin was able to score valuable stage points as he finished Stage One, on Lap 20, in the 10th-place. Under caution, Coughlin came to pit road where his GMS Racing over-the-wall crew cleared the fenders of the No. 2 JEGS Chevrolet Silverado, made a track bar adjustment to alleviate some of the ill-handling conditions, and filled his machine with fuel. 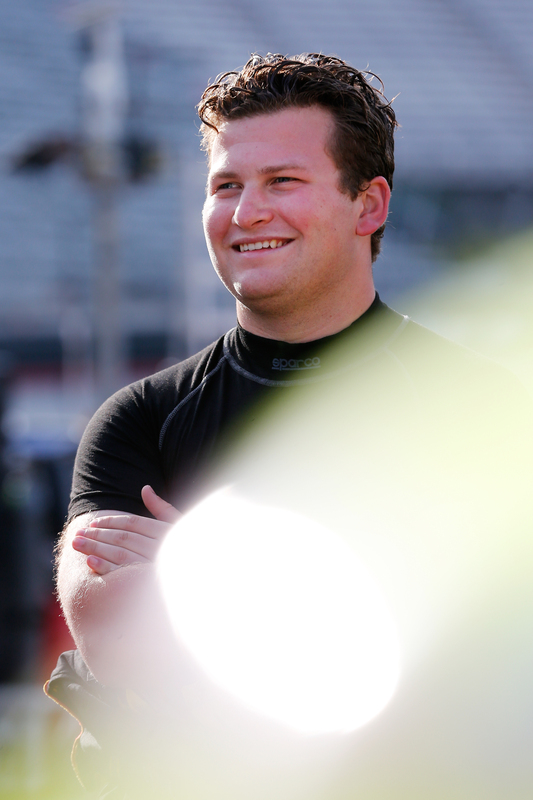 He restarted from the ninth-place as the 32-truck field returned to green-flag racing for Stage Two. The caution flag flew quickly after the Stage Two start on Lap 29 as Coughlin was scored in the 13th-place. Watching the broadcast footage, Baxter could clearly see the free-handling condition that Coughlin was battling, so under the ensuing caution period, he brought Coughlin to pit road for four tires with an air pressure adjustment and fuel on Lap 37. 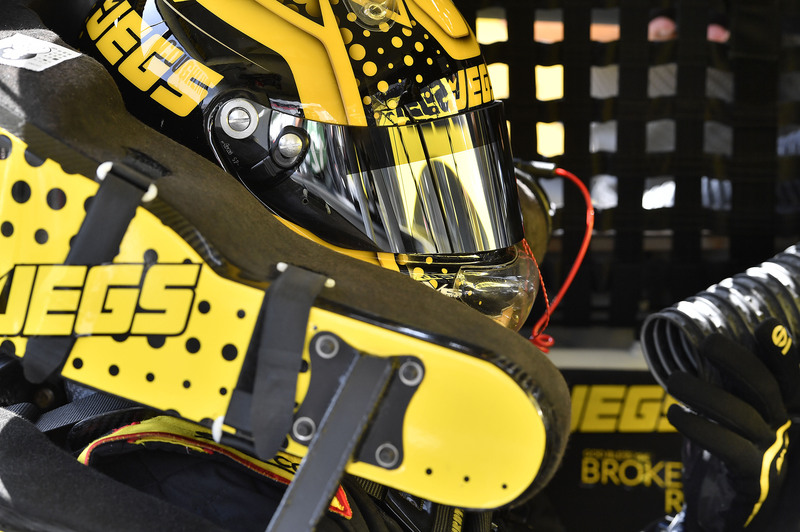 Coughlin emerged from pit road to restart in the 23rd-place, but he began to make up the positions he lost due to the stop, and advanced to 16th-place before the end of stage two on Lap 40. Coughlin restarted in the 11th-place on Lap 47, but after the restart for the final stage, Coughlin informed Baxter that he had developed a vibration which made him unable to drive the No. 2 JEGS Chevrolet Silverado as aggressively as he wanted. Baxter readied the pit crew to make a stop under green if necessary, but the team opted to remain on the track. On Lap 55, despite the vibration, Coughlin was scored in the 15th-place, running quicker times than the leaders. Even with rising oil temperatures, Coughlin was running inside the top 16 without any draft assistance, and on Lap 69, he posted the quickest lap in the field in the 16th-place. After visiting pit road under green-flag conditions on Lap 75, Coughlin was scored in the 21st-place. Green-stop strategies across the lineup had not fully cycled through before the caution flag waved on Lap 80, unfortunately placing Coughlin a lap down, but he was placed back on the lead lap under the caution, and restarted in the 18th-place on Lap 83. With 11 laps remaining, Coughlin was in the 15th-place, but continued to deal with the difficult vibration, and was able to maneuver his wounded Chevrolet around another competitor to bring home a hard-fought 14th-place finish. 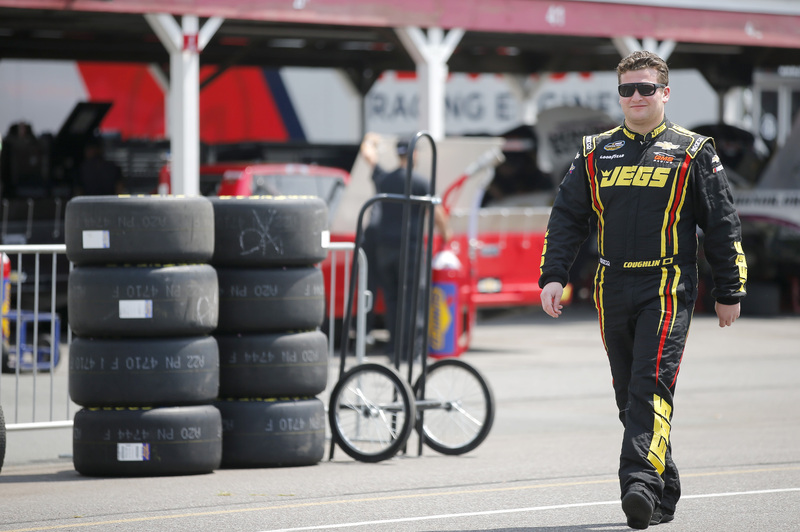 The 22-year old maintains the 10th-place in the NASCAR Camping World Truck Series driver point standing on the strength of six top-10 finishes. 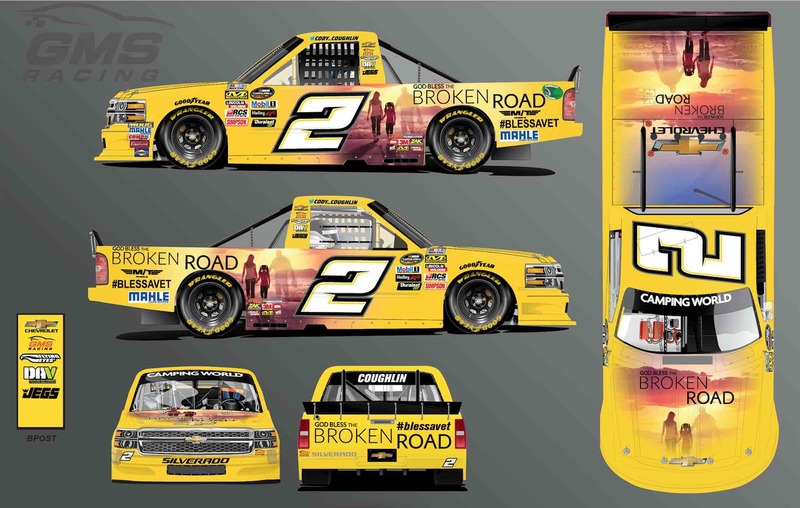 The next event on the NASCAR Camping World Truck Series schedule is the UNOH 200 on Thursday, August 16, at the Bristol Motor Speedway in Bristol, Tenn. The FOX and Motor Racing Network (MRN) will broadcast the race at 8:30 p.m. (ET).